The 1492 silver plated oboe has basic conservatory key system with newly designed French arms is fluid, light to the touch and easily maintained. The addition of highly contoured cork pads make for a student level oboe with response like no other. Range to low B. 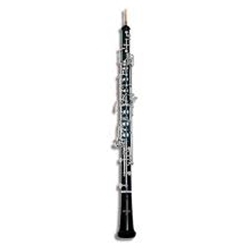 Featuring a high-impact plastic body, the 1492 is great for the beginning oboist. The silver plated, basic conservatory key system with newly designed French arms is fluid, light to the touch and easily maintained. The addition of highly contoured cork pads make for a student level oboe with response like no other. Range to low B. The 1492B has a resonite body with wood grain finish, basic conservatory system to low B, silver plated keys. FREE SHIPPING with your purchase today!